Sultana Education Foundation’s Downrigging Weekend 2018. The first stolen African people arrived in North America in August 1619 at Point Comfort, Virginia (Marker at Fort Monroe, Hampton, VA). They were used to buy food for the captain and crew of a Dutch Man of War, they were brought to Jamestown and sold. Their arrival was marked by four words, “20 and odd Negars”, by John Rolfe, in a letter to Sir Edwin Sandys, Treasurer of the Virginia Company of London. Two years later, in the Virginia census, they would be listed simply as “un-free”. 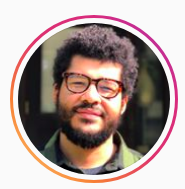 THE UNLADING is a dramatized poem in one act, written by Kent County’s award-winning playwright and poet, Robert Earl Price. Price imagines the thoughts, words and past lives of each of these enslaved Africans as they are unladed from a Dutch Man of War. (Downrigging attendees will know the Kalmar Nykle, from Wilmington, Delaware – this is a Dutch Man of War.). The poem was originally presented at Downrigging Weekend 2017 as part of a concert given by The Pam Ortiz Band, and has since been commissioned by the Kent County Arts Council into this dramatized piece. 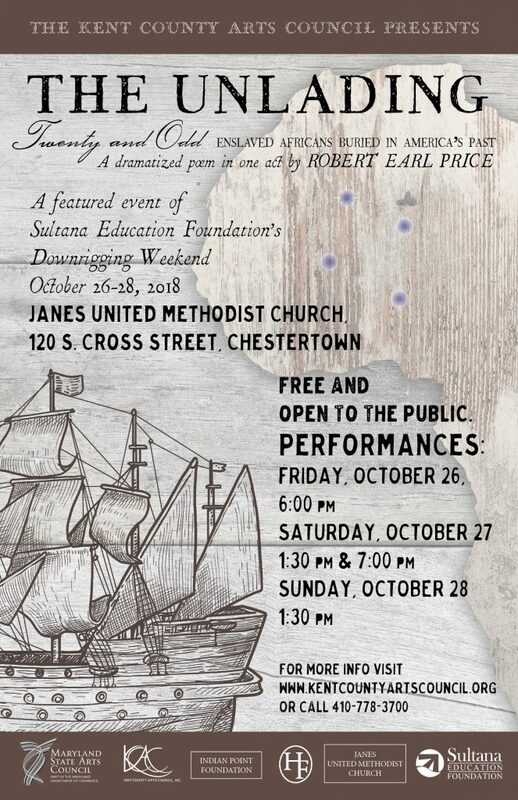 It will be performed four times throughout the 2019 Downrigging Weekend Festival at Janes Church in Chestertown with a cast of six local actors. Friday, October 26, 2018 – 6:00 p.m.
Saturday, October 27, 2018 – 1:30 p.m. and 7 p.m.
Sunday, October 28, 2018 – 1:30 p.m. The play runs approximately 30 minutes with no intermission. Please call 410-778-3700 for more information. In 2016 The Phillips Collection in Washington DC commissioned Playwright and Producing Artistic Director Jacqueline E. Lawton, Assistant Professor of Theater, University of North Carolina, Chapel Hill, to create an evening of short plays based on the Great Migration series painted by famed African American painter, Jacob Lawrence. These plays will be presented together as Act one of a Two-Act evening that also includes Kent County’s own RED DEVIL MOON, Thursday – Sunday, November 1 – 4, 2018 at the Garfield Center for the Arts. Tickets are just $10 each, and free for all 18 years old or younger. In 1941, the 26 year old Jacob Lawrence completed the 60 panels that make up The Migration Series. 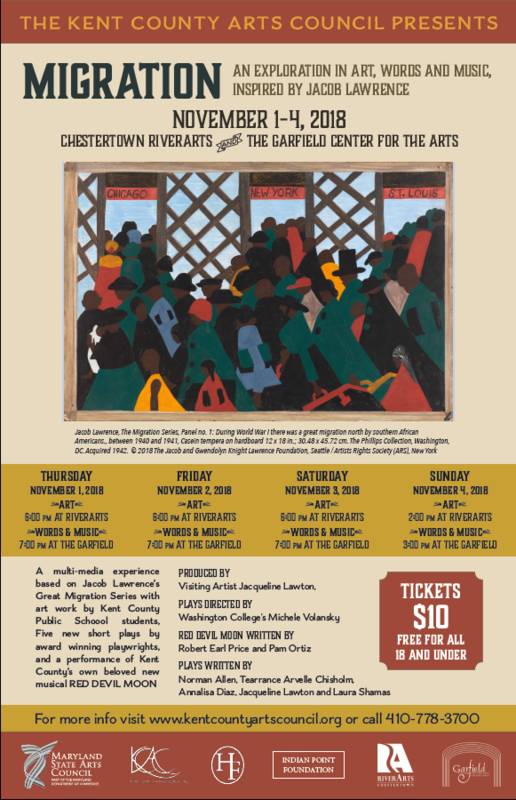 This fall, the Kent County Arts Council offers a unique glimpse into these works and the Great Migration with a multifaceted, multimedia presentation with arts, words and music. We will host 40 Kent County High School Art students on a trip to The Philips Collection in Washington DC for a tour of the museum, an intensive on Lawrence’s work, and to inspire the students’ own work on the subject, which will hang in the Chestertown RiverArts Gallery from October 31 through November 11 as part of the project. All five KCPS visual arts teachers will participate in this trip. RiverArts will be open regular hours, plus one hour before curtain at the Garfield an all four performance days. 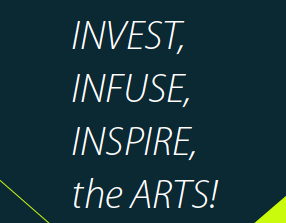 The plays will be produced by Guest Artistic Director Jacqueline E. Lawton, and will be directed by Michele Volansky, Chair, Department of Theater and Dance, Washington College. Act Two will be a revival of Kent County’s own RED DEVIL MOON written by Robert Earl Price and Pam Ortiz and featuring Sombarkin and The Pam Ortiz Band. RED DEVIL MOON is a Migration story, based on Harlem Renaissance writer, Jean Toomer’s novel CANE. Finally, as part of this project, we will present just RED DEVIL MOON on Thursday, October 25 at 11 a.m. with The Garfield Center for the Arts as part of their ongoing educational outreach series. The theater will be reserved for students from schools across our region that day. Watch a preview of this great new musical and visit www.reddevilmoon.com for more information about the show. For more info or tickets call 410-778-3700.